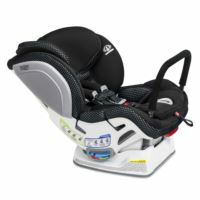 Stroll with baby right away as a complete travel system when using the BOB Infant Car Seat Adapter and all Britax and BOB Infant Car Seats featuring the Click & GO system. 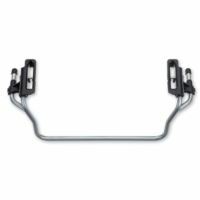 The BOB Infant Car Seat Adapter is easily installed & removed, and works with all BOB single strollers featuring the Accessory Adapter (model year 2011 and later). 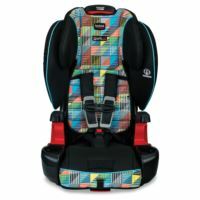 The Britax Advocate ClickTight Convertible Car Seat includes the ClickTight Installation System for safe and easy installation in every car, every time. This seat also offers three layers of side impact protection, an impact-absorbing base and steel frame for maximum safety. Rest assured your child's harness is within range of proper tightness thanks to the Click & Safe Snug Harness Indicator. Accommodates rear facing 5-40 lbs and and front facing 20-65 lbs. 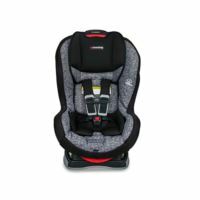 The Britax Boulevard ClickTight Convertible Car Seat is an exceptional choice for getting your family where they need to go. With the revolutionary ClickTight installation system, now everyone can install the car seat securely and confidently by just buckling the seat belt. Safeguards your child with an extra layer of side impact protection, impact-absorbing base and steel frame. Accommodates rear facing 5-40 lbs and and front facing 20-65 lbs. 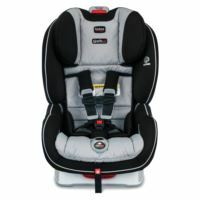 The Britax Boulevard Cool Flow ClickTight Convertible Car Seat is an exceptional choice for getting your family where they need to go. With the revolutionary ClickTight installation system, now everyone can install the car seat securely and confidently by just buckling the seat belt. 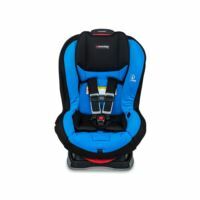 Safeguards your child with an extra layer of side impact protection, impact-absorbing base and steel frame while the cooling mesh fabric improves air flow and padded seat and head rest make for a comfy ride. Accommodates rear facing 5-40 lbs and and front facing 20-65 lbs. 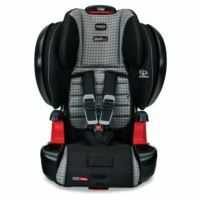 The Britax Marathon ClickTight Convertible Car Seat is an excellent choice for getting your family where they need to go safely, comfortably and with so much ease. With our ClickTight installation system, now everyone can install the car seat securely and confidently by just buckling the seat belt. Plus, complete side impact protection shields your little one in a deep protective shell designed to absorb crash forces and protect from debris. Accommodates rear facing 5-40 lbs and and front facing 20-65 lbs. 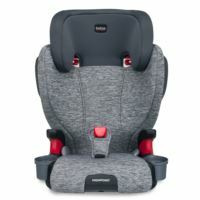 The Britax Advocate ClickTight ARB Cool Flow Convertible Car Seat includes the ClickTight Installation System and offers three layers of side impact protection, an impact-absorbing base and steel frame for maximum safety. The included Anti-Rebound Bar minimizes forces associated with crashes by stabilizing the car seat when installed rear-facing while the cooling mesh fabric improves air flow and padded seat and head rest make for a comfy ride. Accommodates rear facing 5-40 lbs and and front facing 20-65 lbs. 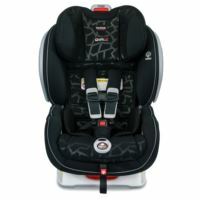 Babies grow up fast, so the Britax Skyline Belt-Positioning Booster is designed to keep up. Two layers of side impact protection shield your child from crash forces. The 10-position, quick-adjust head rest easily grows as your baby gets bigger. Two dishwasher-safe, removable cup holders keep drinks within reach and are a breeze to clean after each ride. Color-coded vehicle belt guides make it easier than ever to properly position the vehicle seat belt. Accommodates forward facing 40-120 lbs. 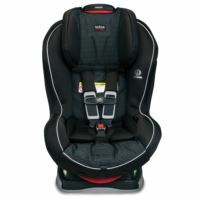 Cruising with your big kid is a breeze when the Britax Highpoint Belt-Positioning Booster is in your backseat. As your child grows, the 10-position, quick-adjust headrest easily adjusts to keep up. Two dishwasher-safe, removable cup holders keep drinks and snacks within reach, and are easy to clean between rides. Plus, the soft knit, stylish fashion is sure to turn heads when you pull up in the car pool line. Accommodates forward-facing 40-120 lbs. 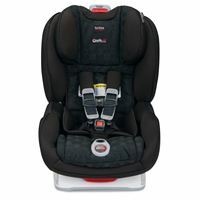 The Britax B-Safe 35 Infant Car Seat provides an extra layer of side impact protection, quick-adjust head protection, our trademark SafeCell Impact Protection, impact-absorbing base, steel frame and easy installation mean you protect your child with the best. 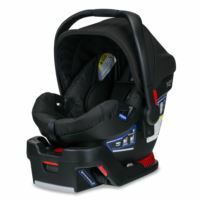 Accommodates children rear facing 4 to 35 pounds or 32 inches in height. 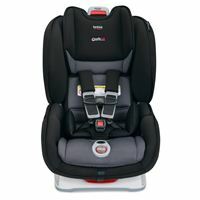 The Britax® Essentials™ Emblem Convertible Car Seat keeps baby safe and comfortable on your journeys. 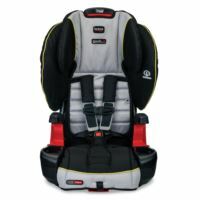 Britax SafeCell Impact Protection is a system of patented safety features that provide advanced protection. Two layers of side impact protection mean your child's head and neck are secure in the event of a crash. Plus, installation is easy using lower anchors that lock into place with a click and are released with the push of a button. Accommodates rear facing 5-40 lbs and and front facing 20-65 lbs. 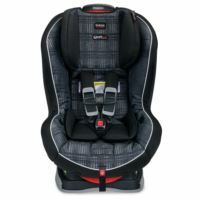 The Britax® Essentials™ Allegiance Convertible Car Seat is safe and comfy for your little one while you're on the go. 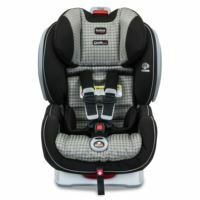 Britax SafeCell Impact Protection is a system of patented safety features that provide advanced protection. A foam-lined shell provides side impact protection in the event of a crash. Plus, installation is easy using lower anchors that lock into place with a click and are released with the push of a button. Accommodates rear facing 5-40 lbs and and front facing 20-65 lbs. 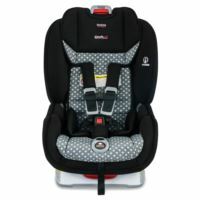 The Britax Boulevard G4.1 Convertible Car Seat is designed for children rear facing from 5 to 40 pounds and forward facing from 20 to 65 pounds. 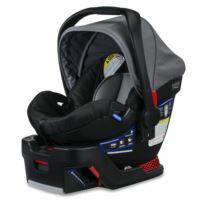 The Boulevard achieves revolutionary head safety through the use of Britax SafeCell Technology in the base and HUGS chest pads, integrated steel bars, and energy absorbing Versa-Tether that work together to minimize head excursion and reduce the risk of head injury during a frontal impact. 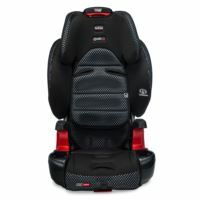 Accommodates rear facing 5-40 lbs and and front facing 20-65 lbs. 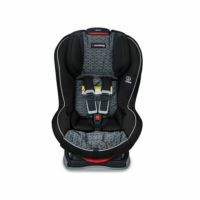 Safety, comfort and convenience make the Britax Frontier ClickTight an exceptional Harness-2-Booster Seat. With the ClickTight Installation System, everyone can install with confidence. SafeCell Impact Protection surrounds your child in advanced layers of protection that absorb crash forces to keep your little one safe. Accommodates front facing 40-120 lbs. 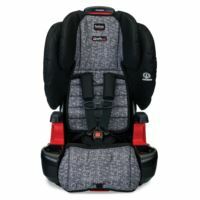 Safety, comfort and convenience make the Britax Frontier ClickTight an exceptional Harness-2-Booster Seat. With the ClickTight Installation System, everyone can install with confidence. SafeCell Impact Protection surrounds your child in advanced layers of protection that absorb crash forces to keep your little one safe while the cooling mesh fabric improves air flow and padded seat and head rest make for a comfy ride. Accommodates front facing 40-120 lbs. 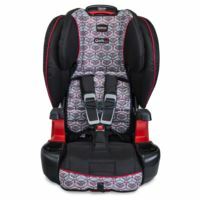 Superior safety and comfort make the Pinnacle ClickTight Harness-2-Booster Seat the most popular Harness to Booster Seat. With the ClickTight Installation System, everyone can install with confidence. 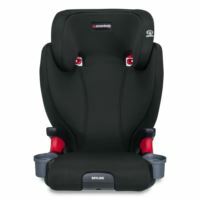 Side Impact Protection features external cushions for maximum crash force absorption and a foam headrest to keep your child's head and neck secure. Accommodates front facing 40-120 lbs. 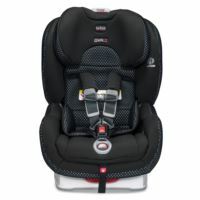 The Britax Pioneer Harness-2-Booster Seat makes traveling with your child a breeze. SafeCell Impact Protection surrounds your little one in advanced layers of safety. 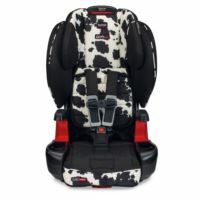 Side Impact Protection helps absorb crash forces, while the quick-adjust, 9-position harness and 2-position buckle easily adjust to fit your growing child. Accommodates front facing 40-110 lbs.